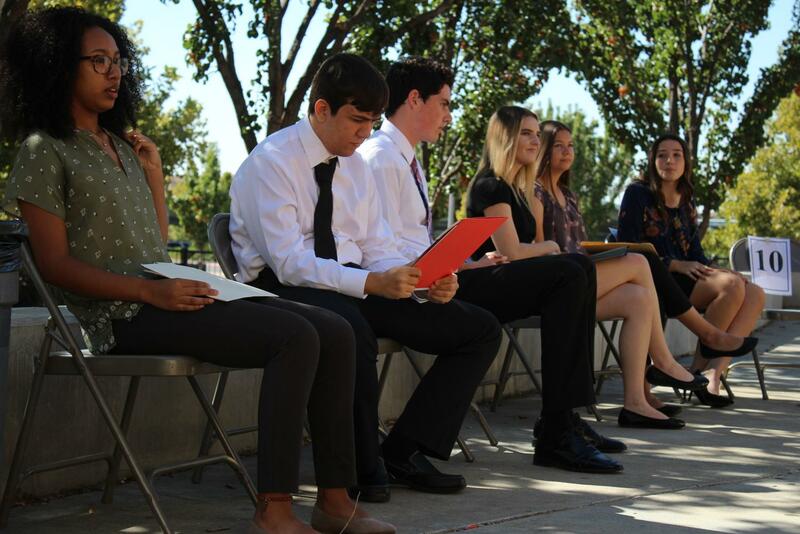 Prepping for an interview for the first time can be confusing and awkward, but Senior Mock Interviews provide the opportunity to practice what is expected before, during and after the process. Counselor Mr. Patrick Floyd and College and Career Center coordinator Mrs. Sally Randazzo work with the language arts teachers to coordinate this annual event, which took place Sept. 20-21. Seniors had the opportunity to get their resumes and cover letters edited by their language teacher. The tips and revisions helped finalize ready-to-use materials which students can use for future interviews. Also, University of the Pacific Professor Emeritus Dr. Carol Anne Hackley taught a workshop in each English class about how to prepare for an interview. Interviews also offered the potential for further connections. Planning for Senior Mock Interviews began in the Spring. Forty business owners and retired professionals were invited from the community to interview 458 seniors. Do you think Senior Mock Interviews are helpful?